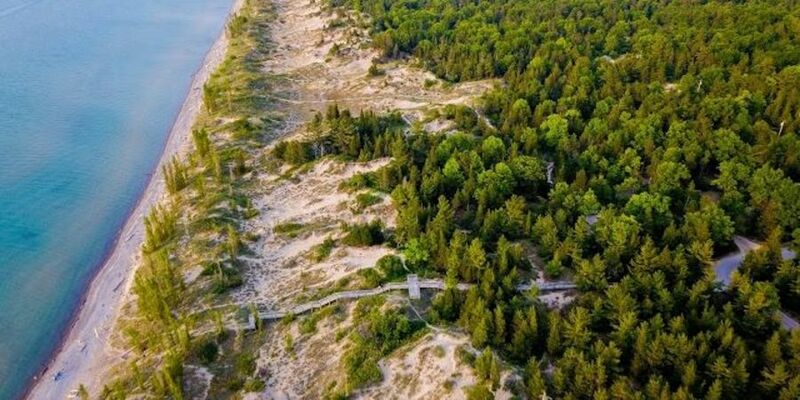 A breathtakingly beautiful park with 10 km of sand beach on the shores of mighty Lake Huron. Extremely rare and fragile Oak Savanna and Coastal Dune Ecosystems with extraordinary biodiversity – over 800 vascular plants, over 300 bird species. Sunsets here are ranked by National Geographic as among the “Top 10 Best in the World”!